Background: Sam’s love of wood began in his grandfather’s woodworking shop while growing up on the family farm. From his grandfather, he learned to be meticulous in caring for his tools. Following high school graduation, Sam went to work a local woodworking shop building gazebos and from there started timber framing at the age of 18. 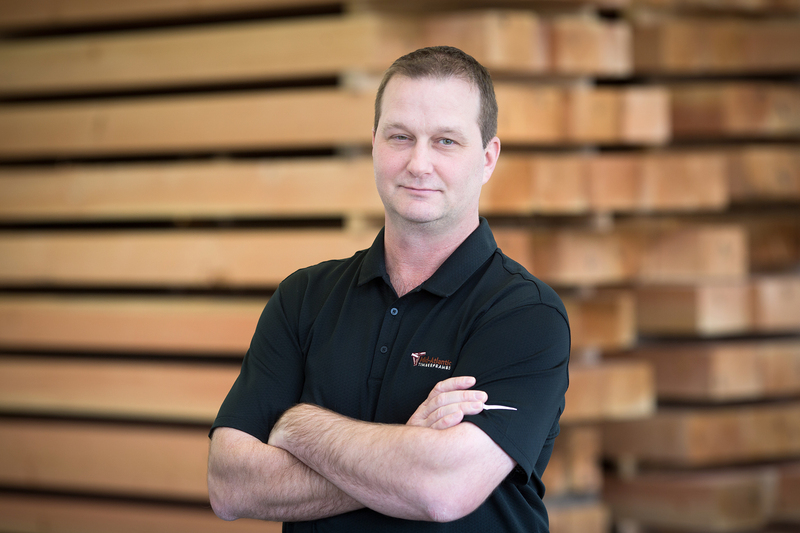 Sam has spent the last 25 years working in the timber frame industry. 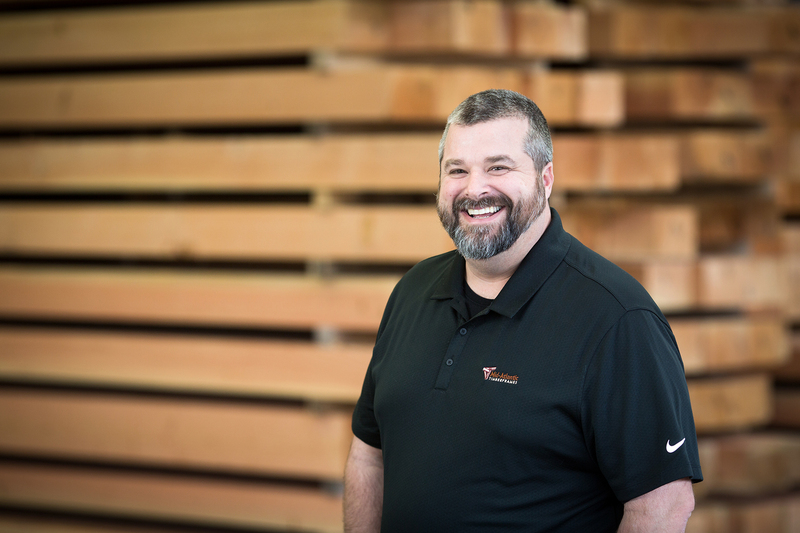 He got his start in the industry erecting the timber frames, then graduated to layout and cutting, and eventually learned the design and estimating side of the business. He has been the General Manager for MATF since the company’s inception and built the team that is MATF today. As General Manager, Sam is responsible for oversight of all the departments within the company, as well as sales, estimating, design, fabrication, and erection. Personal: In his free time, Sam enjoys spending time with his family, golfing, cooking and grilling. He lives in New Holland with his wife and three children. Background: John grew up on a 100-acre farm playing in his family’s timber frame barns. A true “people person”, he has not only worked in sales, but also as a part-time pastor and a teacher: he spent five years teaching elementary school and 12 years working with families and children with special needs at an outdoor boys camp. 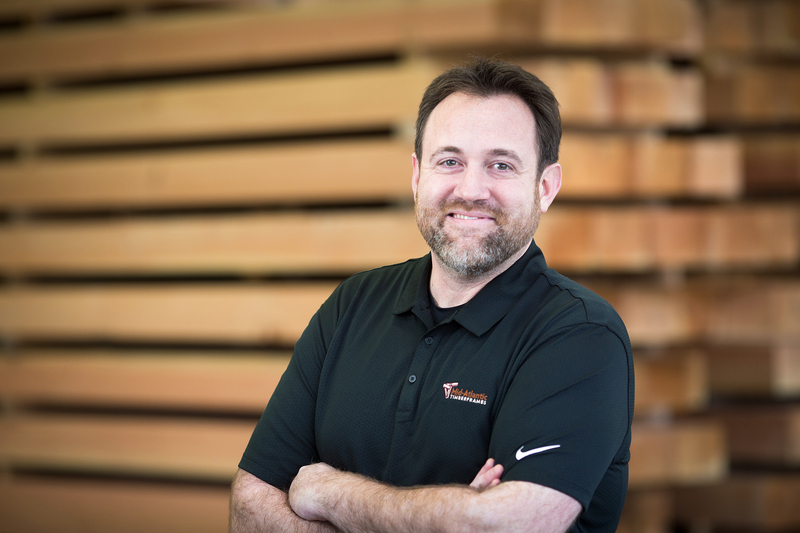 With ten years of sales experience, John has spent the past two years with Mid-Atlantic Timberframes. Personal: John lives in Leola, PA with his wife and five sons. He loves the outdoors and spending time hunting, fishing, playing basketball and other sports with his boys. Background: Mike spent much of his childhood in a 19th Century classic Pennsylvania bank barn on his family property. From a young age, he became fascinated by the exposed structural elements of timber frame and began to admire the longevity and character of the timbers. 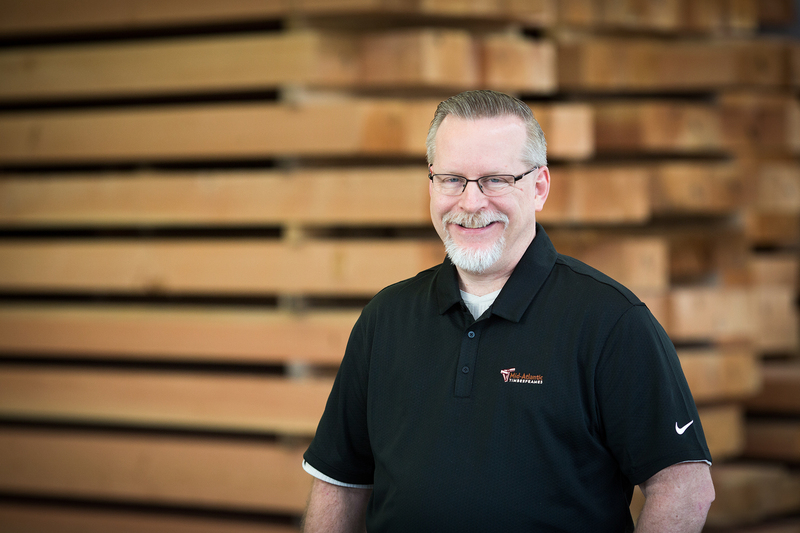 For 18 years, Mike has been designing timber frame structures and is eager to share his expertise in structural steel and other architectural materials including cross laminated timber, glue laminated timber, and reclaimed and recycled timber. He also has experience inmechanical, restorative, and sustainable design, as well as technical drafting and detailing, CNC programming, prototyping, and quality control. Personal: Mike lives with his wife and two sons in West Grove, PA. In his spare time, he enjoys spending time with his family, being outdoors, fishing, and playing guitar and piano. He has a passion for antique and classic cars, abstract art and all things design related. Background: CJ grew up in his family-owned timber framing and custom millwork business where he started out sweeping floors and finish timbers at a young age and kept learning more and moving up from there. 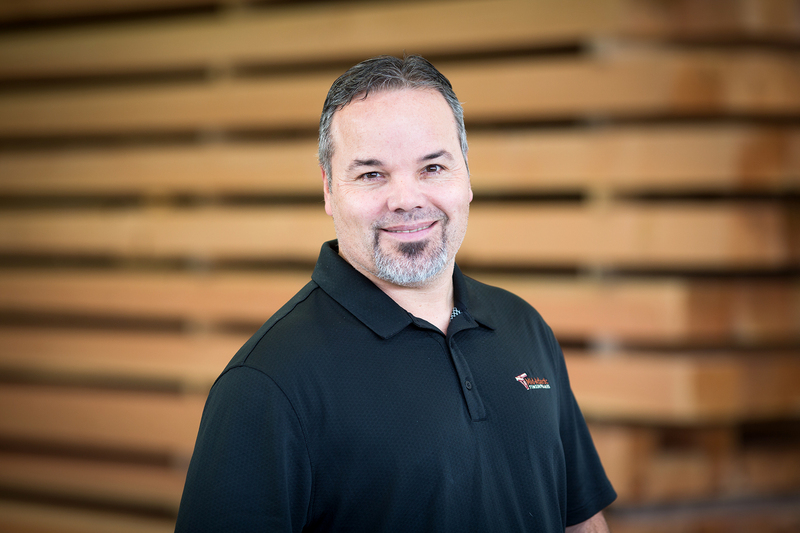 He has over 25 years of timber frame experience, with 11 years of design and estimating experience. Personal: CJ enjoys spending time with his wife and two daughters in New Providence, PA. His hobbies include repairing, restoring, and building cars, trucks, and motorcycles; PC and console gaming; cooking and grilling. Background: Barry may be the newest member of our Design/Estimating team at MATF, but he is not new to the building profession. With 28 years of conventional and log design in both residential and commercial construction, Barry can assist both contractors and architects with many levels of support to meet your client’s needs; whether it is a single-family residence or a commercial project. Personal: Barry lives with his wife and three children in Willow Street, PA where he spends his free time gardening and painting with watercolors. Background: As a teenager, Ron grew up in a 1700’s stone farm house with a timber frame roof that was constructed of 12 x12 timber ceiling joists. He began his career working for his father who was a home builder and has been familiar with timber frame structures for most of his life. 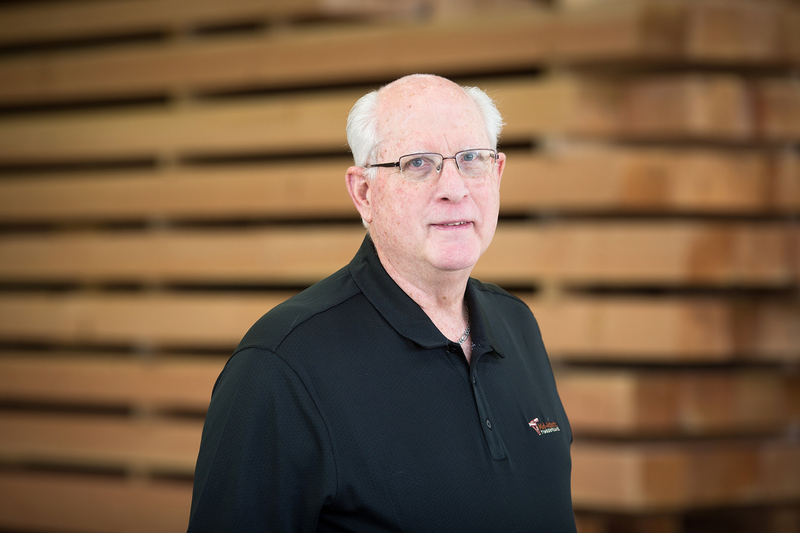 A certified professional estimator through the American Society of Professional Estimators since 2000, he has 32 years of construction estimating experience, including three years of timber frame estimating. Personal: Ron lives with his wife of 45 years in Rothsville, PA. He has three children and ten grandchildren. In his free time, he enjoys spending time with his wife and reading historical fiction. Background: Jacob’s passion for creating and designing began before he can remember. His passion for modern design processes coupled with the beauty of traditional architecture has driven him to keep creating. He began with the company in 2018 by joining the shop and learning the ropes of the industry from start to finish. Jacob spends much of his day taking clients’ dreams and developing the visual concepts needed for customers and architects to make those dreams come to fruition. He enjoys working with customers and onsite visits when the designs become reality. Personal: Jacob commutes from York, PA where he grew up and enjoys hockey, tinkering, creating and listening to music and hanging with his friends. He looks forward to starting his second chapter of life with his girlfriend. Our shop staff grew up in Lancaster County and are primarily Amish. They have spent most of their lives working in timber frame barns that have been a signature in the Lancaster County area for centuries. Hundreds of these barns, constructed for use as actual working barns, dot the Lancaster county countryside. The Amish we employ have years of experience in building these barns as well as using hand tools to cut the timbers used in the barn frames. As project manager, Elam is involved from start to finish with every project that leaves the shop. He has been with Mid-Atlantic Timberframes since the inception of the company and spends a lot of time visiting new job sites and communicating with contractors in the field coordinating the timber frame erections and installations. An integral part of the team, Elam is also an experienced CNC operator. Steve oversees the day-to-day operations in our timber frame shop, ensuring quality control and that every project is completed on time. 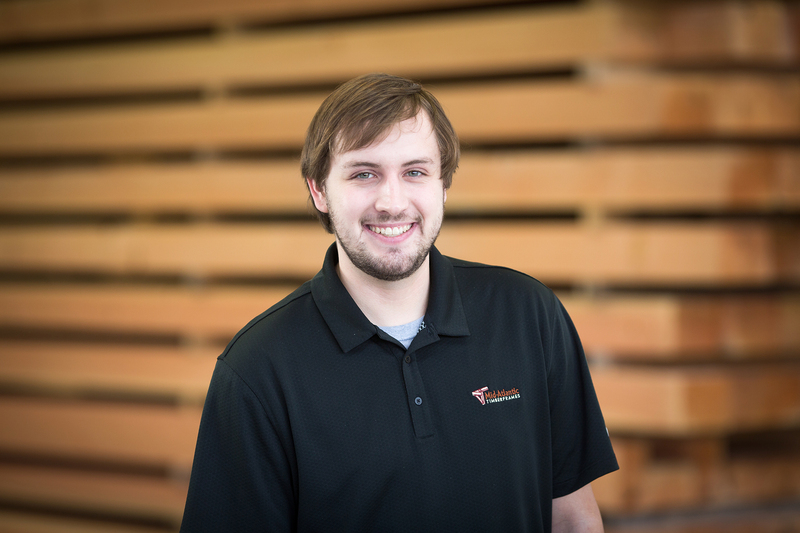 As one of our many multitalented staff members, on most days he can be found doing everything and anything throughout our facility, whether it be operating the CNC machine, assisting in the planing mill, assembling trusses in the shop, or catching up on paperwork. Levi is in charge of finishing and packaging the timbers. On any given day you will see Levi on the shop floor sanding and chamfering timbers, applying a rough finish, and shrink wrapping lumber packs. Melvin assists Levi in the finishing department. Melvin joined the team in 2017 and has been a big asset to us. Elmer is responsible for running our 1920’s-era timber sizer and knows the ins and outs of the machine like the back of his hand. When not running the planer, you can find Elmer oiling the old babbit bearings and maintaining the planer to keep it running smoothly.